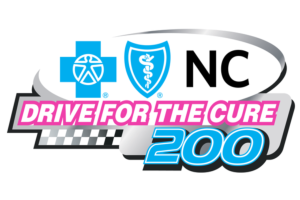 The Drive for the Cure 200 presented by Blue Cross and Blue Shield of North Carolina pits NASCAR Xfinity Series championship contenders against one another in a Saturday free-for-all on the ROVAL™, NASCAR’s newest track. Your Drive for the Cure 200 ticket also includes TWO afternoon Monster Energy NASCAR Cup Series practice sessions to see your favorite driver and team make last-minute adjustments before Sunday’s historic first running of the Bank of America ROVAL™ 400. The Fan Zone is open all day and tickets are FREE for kids 13 and under. Adult tickets start at just $32. Make it a fabulous, family-friendly Saturday of fun, and remember: wear pink to raise awareness for the fight against breast cancer! 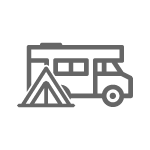 Located just off Bruton Smith Boulevard (I-85, Exit 49), the Camping World Racing Resort offers premium RV camping adjacent to a modern restroom/shower facility and Charlotte Motor Speedway. Located just off Bruton Smith Boulevard (I-85, Exit 49), the Camping World Racing Resort offers premium RV camping adjacent to a modern restroom/shower facility and Charlotte Motor Speedway. This campground is open year-round, and we encourage you to arrive early to enjoy the local attractions. Perched between Turn 1 and Turn 2, the 600 Terrace is our most exclusive RV camping experience. These asphalt pads are trackside and provide spectacular views of the racing action without ever leaving your amenities. Perched between Turn 1 and Turn 2, the 600 Terrace is our most exclusive RV camping experience. There are three (3) sizes of private spaces to choose from: 30' by 60'; 36' by 60'; 40' by 60'. These asphalt pads are trackside and provide spectacular views of the racing action without ever leaving your amenities. Be front and center to the gigantic HDTV for all the racing action. 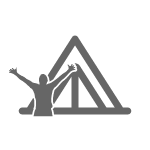 These campsites are ideal to spend time with clients or family and friends. Experience a true NASCAR party while camping inside of Turn 3 at Charlotte Motor Speedway. Camp sites are on grass. Experience a true NASCAR party while camping inside of Turn 4 at Charlotte Motor Speedway. 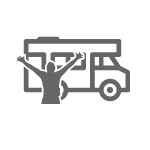 Camp closer to the action in RV camping spots located trackside near Turns 3 and 4 at Charlotte Motor Speedway! Camp closer to the action in these tent camping spots located inside the speedway! Responsible drinking, quiet time observance and a general "family camping" atmosphere make the Turn 4 Family Campground one of our most popular. It's a great place to bring your children or grandchildren. This standard, no-hookup campground is adjacent to a modern restroom/shower facility and is conveniently located near the Turn 4 grandstands. 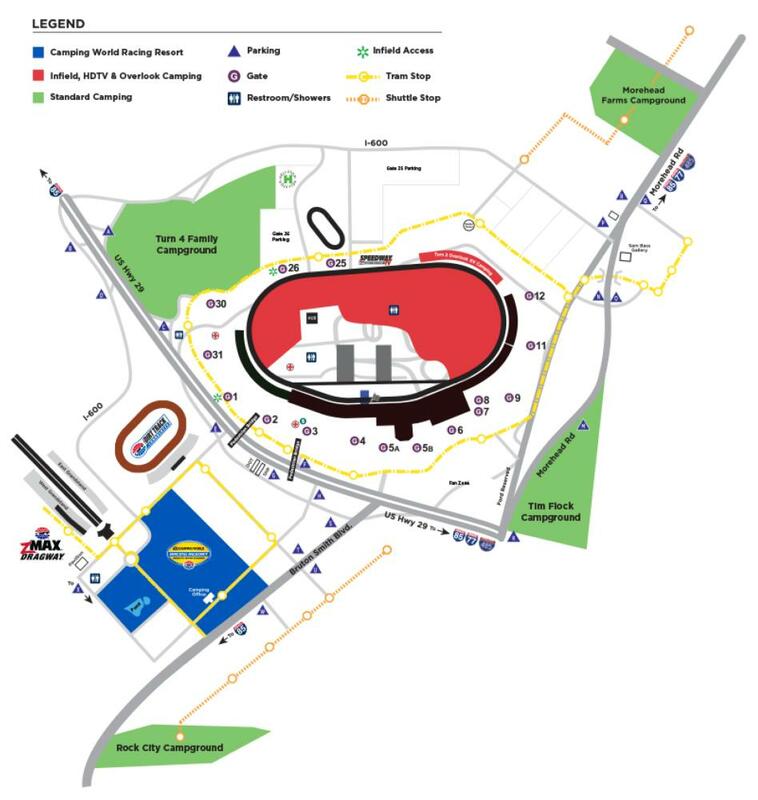 Tim Flock Campground is centrally located to everything you want to enjoy while visiting Charlotte Motor Speedway. This standard, no-hookup campground is highly accessible to the Fan Zone and the Turn 1 grandstands. It is also adjacent to a convenience store, gas station and liquor store. 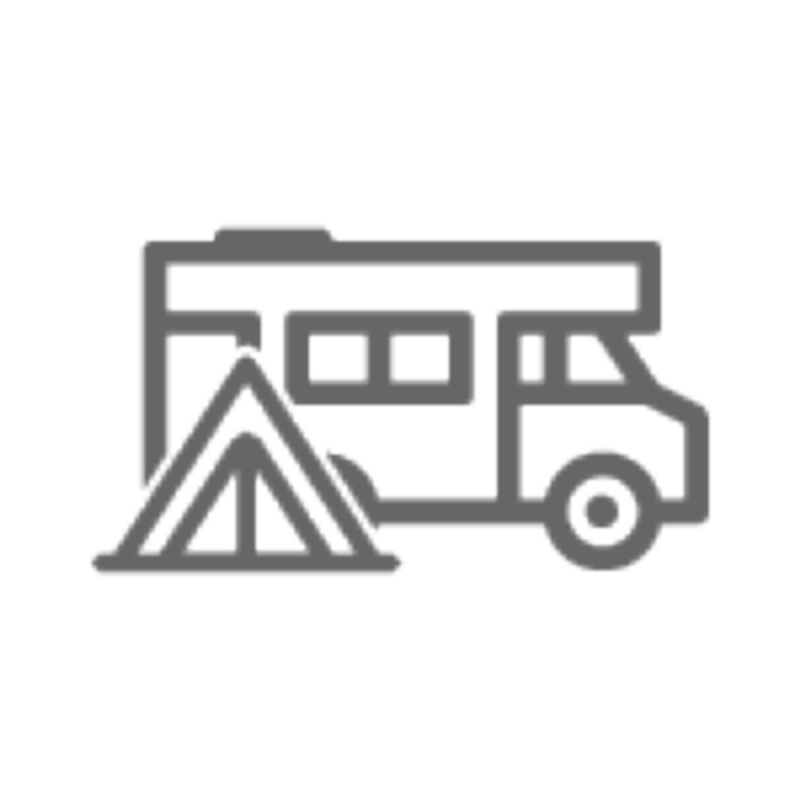 As the only general admission campground at Charlotte Motor Speedway, you will be offered your favorite campsite upon arrival, on a first-come first-serve basis. Due to the close proximity to the track, extra tow vehicle passes are available for $50 each. Looking to have a NASCAR party with family and friends? Then Rock City Campground is the place for you. This standard, no-hookup campground is located off Bruton Smith Blvd. at Gate Z, just a short drive to Concord Mills Mall, restaurants and convenience stores. A dedicated tram runs from Rock City to the frontstretch before and after the race or it’s just a three-quarter of a mile walk.